Paul Bartolotta isn’t around much anymore. 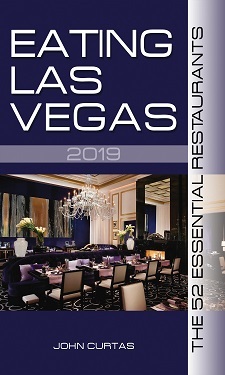 He moved his family to New York last year, and now does the celebrity chef-thing: swooping into town occasionally, according to dictates of his contract, just to make sure the best seafood restaurant in Las Vegas is still doing his name proud. Make no mistake, it still is, and is still one of the best seafood restaurants in the country. Try locating another place where they fry their frittura di parzanza del Mediterranean (assorted fried fish) so delicately; or an Italian joint where the clams are as sweet; or the Tuscan ragù is as chock-full of chicken, pork, veal, and rabbit meat. You won’t find a better spaghetti con bottarga Sarda anywhere but Sardinia, and the giant red prawns they get here compete with their jumbo langoustines for the title of best crustaceans on the planet. None of these delicacies comes cheap (those prawns will set you back a cool $35 each), but nowhere except the coast of Italy will you taste such dense seafoody flavors prepared with such care. This is seafood with a higher education to be sure, but lovers of the best bounty the ocean can offer will rejoice at the pristine condition of the finest pescato the Mediterranean can deliver. 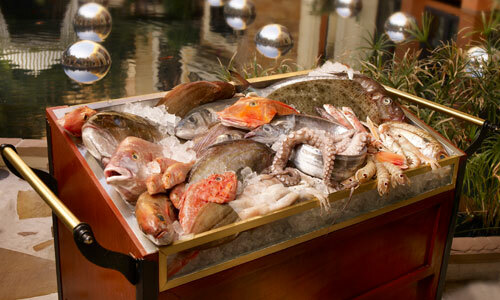 Bartolotta takes pride in his connections with Italian fishermen, which allow such quality to be delivered to the high Mojave Desert within hours of being taken from the sea. You’ll taste the difference between the fish here and everywhere else in town (save for Milos) and you’ll pay dearly for it, but a dinner at Bartolotta will leave you swooning. Favorite Dishes: Sautéed Tiny Clams; Gamberi E Cannellini (Tiger Shrimp With Cannellini Beans); Frittura Di Paraza Del Mediterraneo; Red Mullet With Taggiashed Olives And Capers; Spaghetti Con Bottarga; Maccheroni Alla Chitarra Al Ragù Toscano (Thick Spaghetti With Tuscan Meat Sauce); Risotto Frutti Di Mare; Langoustines; Giant Red Prawns; Whole Roasted Fish; Veal Chop.